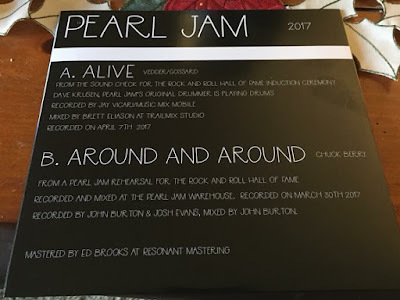 The 2017 edition of Pearl Jam’s annual Ten Club Christmas single sees the band reunited with original drummer Dave Krusen for a soundcheck version of their 1991 classic, "Alive", recorded prior to the group’s induction into the 2017 Rock And Roll Hall Of Fame in New York on April 7. Krusen played on the Seattle band’s debut release, “Ten”, and was one of two drummers included in the Rock Hall induction – alongside Matt Cameron – and the rest of the current lineup of Eddie Vedder, Mike McCready, Stone Gossard and Jeff Ament. The first of five drummers in the band, Krusen left Pearl Jam in May of 1991 and checked himself into rehab for alcohol abuse issues; he was replaced by Matt Chamberlain for a short time before Dave Abbruzzese sat behind the kit until 1994, with Jack Irons stepping in until Soundgarden’s Cameron became a regular member in 1998. 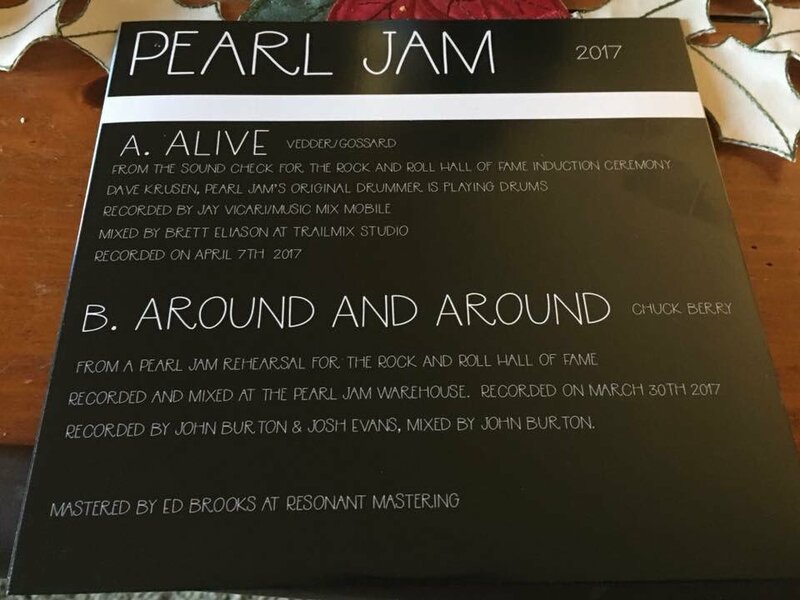 The B-side of the exclusive Ten Club 7” vinyl holiday single is a new cover of Chuck Berry's "Around And Around", recorded during a Rock Hall rehearsal on March 30. 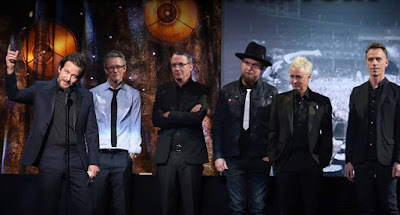 Pearl Jam recently released their concert film, “Let’s Play Two”, which captures footage from the final two shows of the band’s 2016 North American tour at Wrigley Field in Chicago, IL. The group return to live action in 2018 with dates announced for shows in South America and Europe. 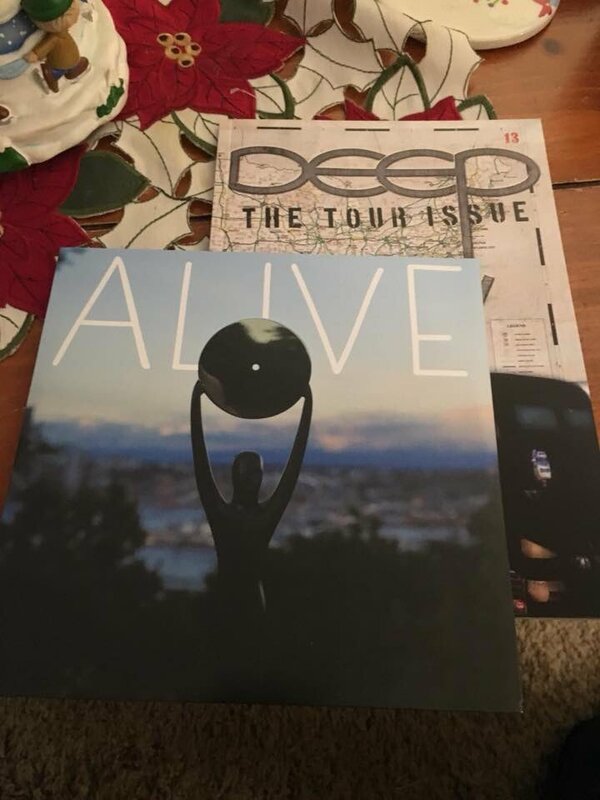 The band will open their 2018 live schedule with a four-date run in South America in March that will see them play Lollapalooza festivals in Chile, Argentina and Brazil, as well as a headline concert in Rio de Janiero, Brazil; they’ll follow that with a 14-date European run that will open in Amsterdam on June 12.